Sleek and compact design, perfect for hiding away. 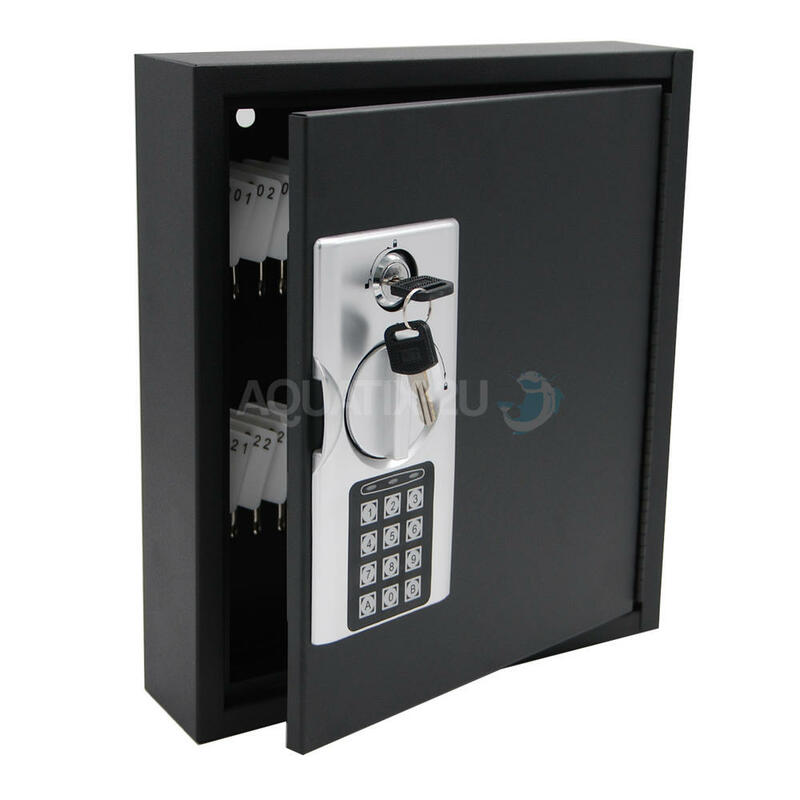 The Electronic 40 Key Cabinet is a great addition to any home, office or work space. 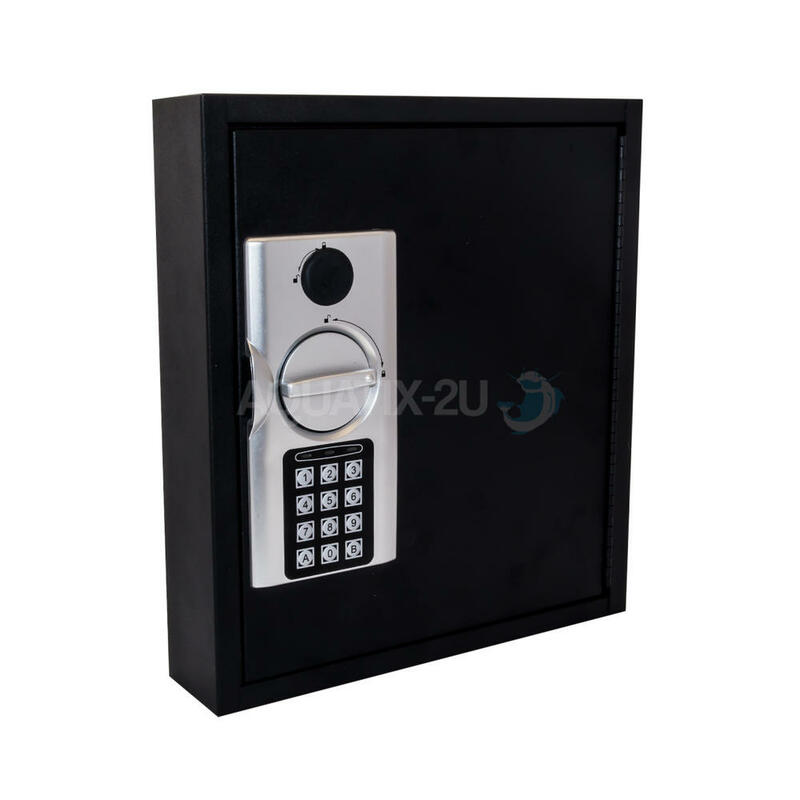 The cabinet provides extra security for storing multiple keys, making it perfect for use in busy hotels, B&Bs, schools, offices as well as in the home to make sure all the essential keys are kept together and safe. 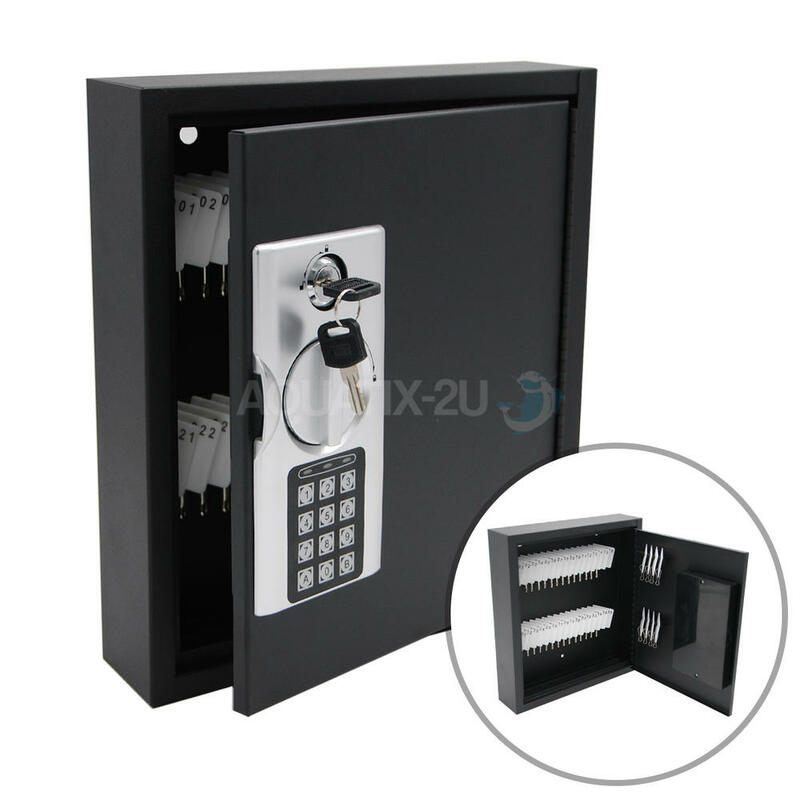 The Cabinet can hold up to 40 keys, all with their own fob and hook inside the cabinet. 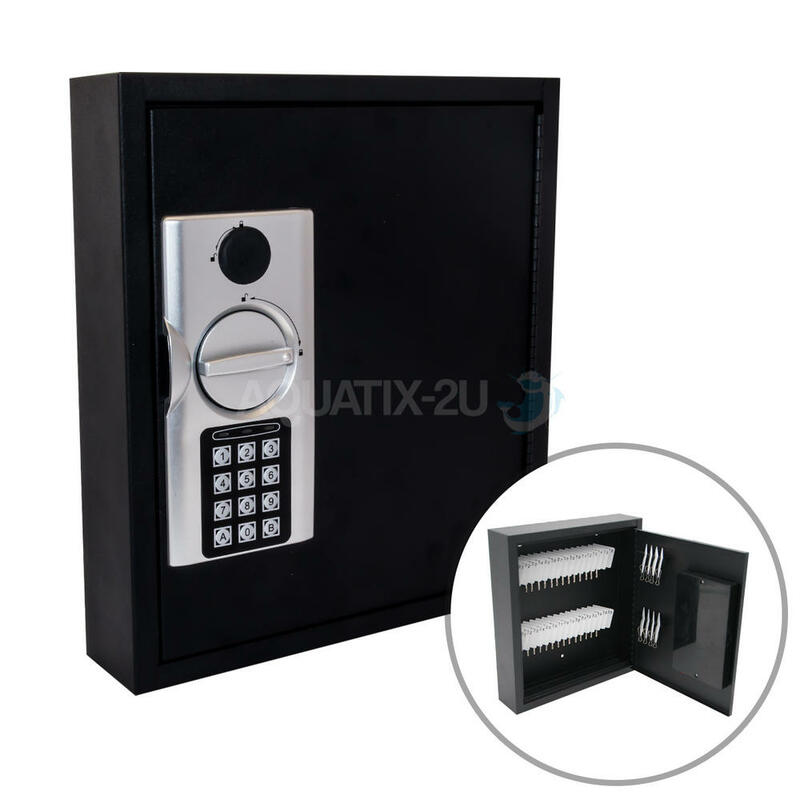 The 40 key cabinet can be opened by an easy to use digital key code panel, allowing you to control who has access to the safe. 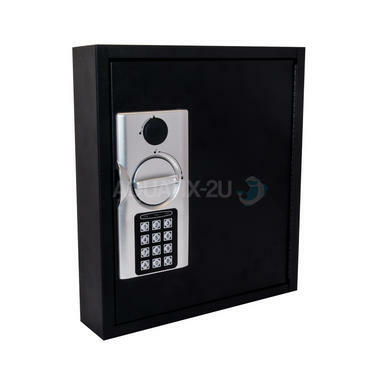 2 Manual override keys are also provided in case of emergency. 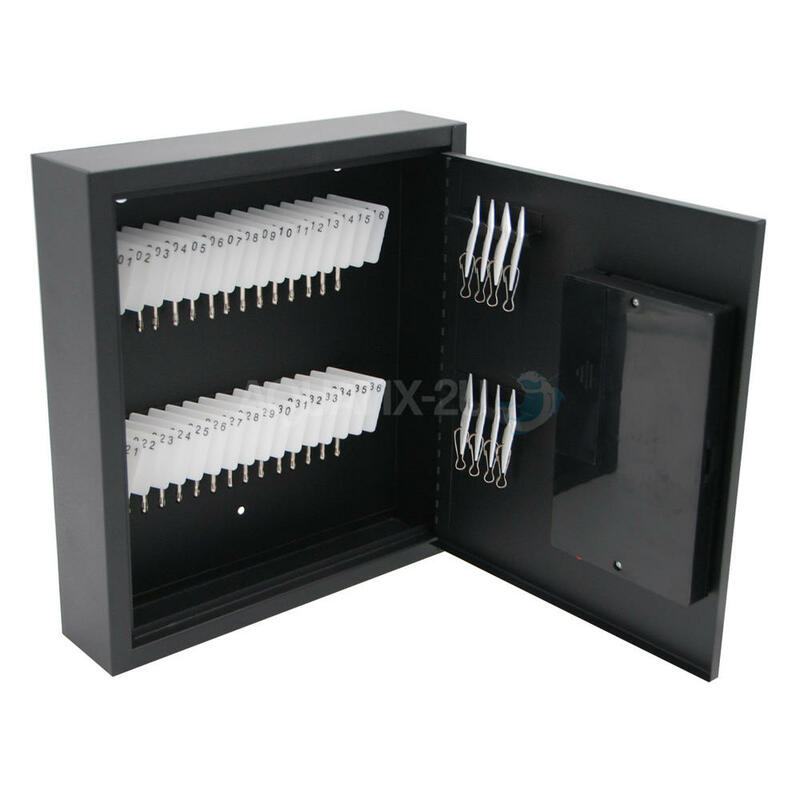 The box is small and compact and is ideal for hiding away in cupboards, wardrobes or even desk drawers. 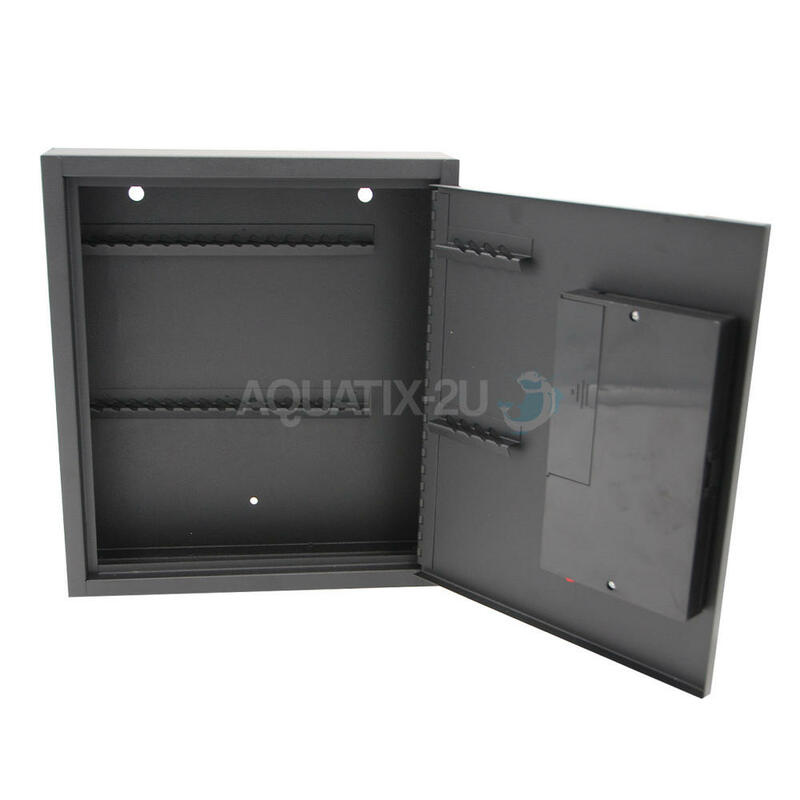 The unit also has 2 holes in the back allowing you to secure this to walls and floors, giving you that added level of security. 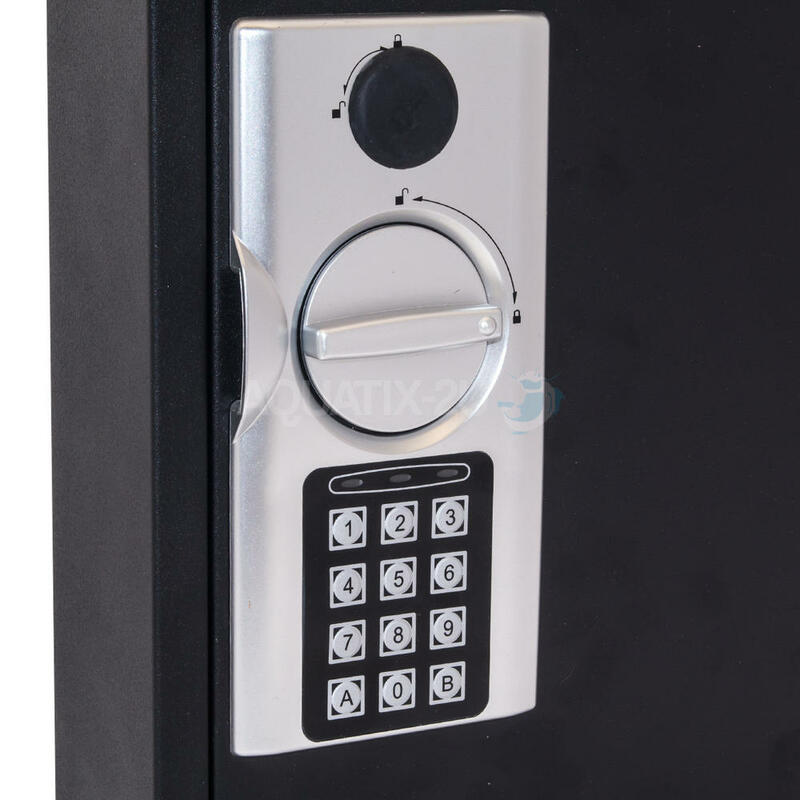 With is ability to hold up to 40 keys and its easy access, this Cabinet are ideal for use in hotels, schools, offices and B&Bs where multiple keys are in constant use. 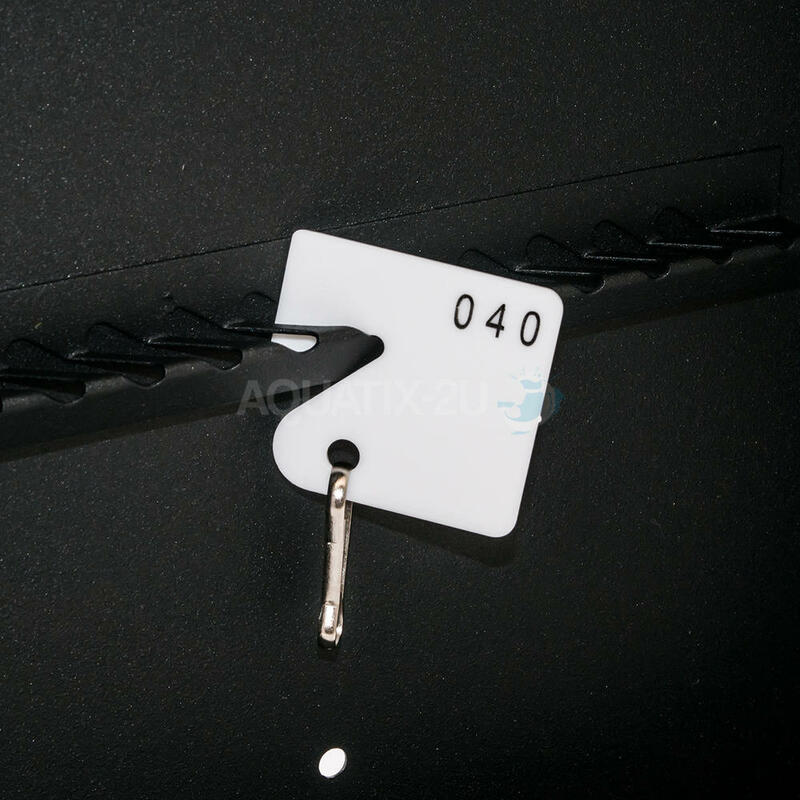 Contents: 40 numbered key fobs, 40 hooks, wall fixings, 2 x manual override keys, instructions. Batteries not included.